Join Linda Tucker and Andrew Harvey Friday, April 24 through Saturday, May 2 2020 in Timbavati South Africa for Sacred Warriorship School. Andrew and Linda will fuse their visions of Sacred Activism and Lion Shamanism to offer an 8-day initiatory retreat focused on Sacred Warriorship in the modern-day world. 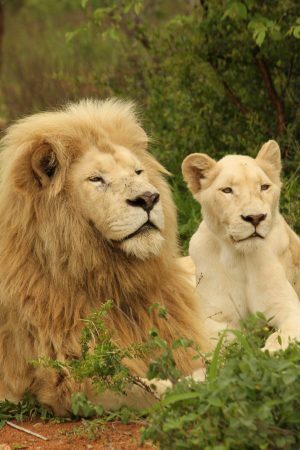 Leading conservationist and author of Mystery of the White Lions, Linda Tucker will share her unique knowledge and first hand experience of the legendary white lions of Timbavati, revealing their divine message of courage, love, truth and enlightenment. She will lead participants through shamanic exercisesthat can enable all to connect with the inspiring message of the lions, empowering us at our highest level of awareness, as well as equipping us to take on the challenges of our everyday life. $1000 nonrefundable deposit. Balance of trip and payment for excursion package is due by February 15, 2020. Participants will be emailed with additional forms upon receipt of deposit payment. Note space is limited to 12 participants. Airfare is not included.